iGo Concentrator - SHIPS FREE! iGo Concentrator with Deluxe Cart and Accessory Bag - SHIPS FREE! DeVilbiss iGO is low-maintenance concentrator with no scheduled professional maintenance required for three years. However, there is a dust filter located inside the handle recess should be cleaned regularly. Audible alerts for power failure, low battery, low oxygen output, high flow/low flow, no breath detected in PulseDose mode, high temperature or unit malfunction. Control panel designed to be easily viewed whether sitting on the ground or under an airplane seat. Easy-to-read battery status gauge indicates remaining battery life. Lightweight -- weighs less than 20 lbs with battery. Small compact design with high performance capability. Three handles molded into the body of the concentrator for easy handling. 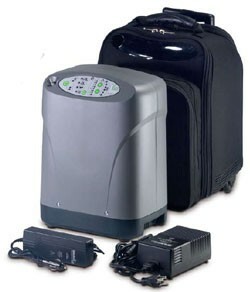 DeVilbiss iGo Portable Oxygen Concentrator is FAA-approved for air travel. 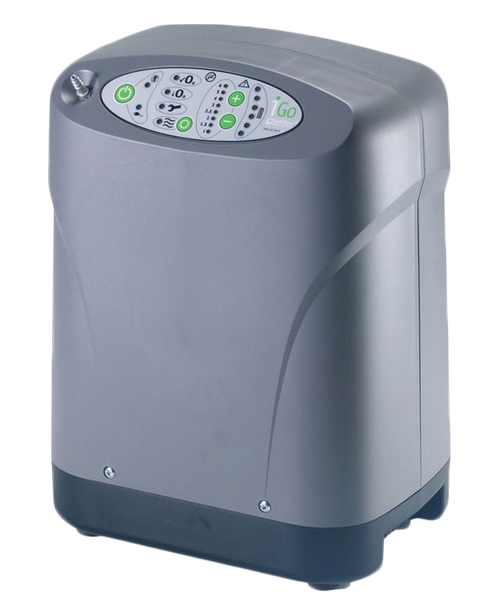 Drive Medical also manufactures a popular Home Oxygen Concentrator, the DeVilbiss Compact 5 Liter Oxygen Concentrator. Another oxygen therapy device for the home from DeVilbiss is the iFill ReFill Station. We've created several programs to help you transition to a portable oxygen concentrator today. Buy Back Program - Upgrading to a portable? Ready to get rid of your old machine? We may be able to buy it back from you. Rental Program - Want to try a portable oxygen concentrator before you buy one? Contact a specialist today for details. Loaner Program - Now it's easy to set up a warranty claim. Just give us a call, and we'll send you one of our machines to borrow. Certified Oxygen Specialists - Our staff takes a tough certification exam to make sure they can help you with all your travel and product related questions. 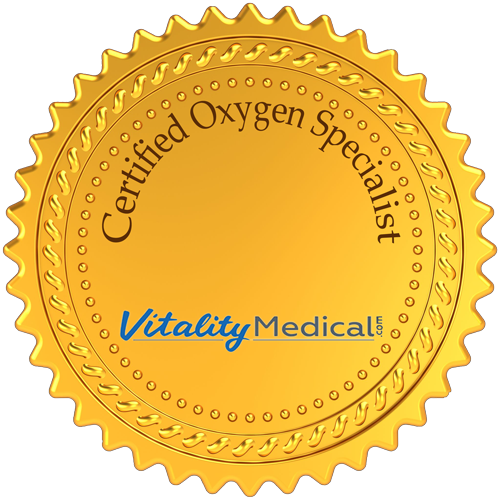 At Vitality Medical, we understand that choosing an oxygen concentrator is a big deal, so our helpful staff is certified in oxygen concentrators to help you with your decision. Just give us a call Monday - Friday, for the best pricing and friendliest service. The DeVilbiss iGO has several packages to choose from, and you can find them broken down below. If you are traveling and need some additional iGO accessories, you can find them here. Feel free to call-in and speak with a concentrator expert for additional guidance on flying with your oxygen concentrator. DeVilbiss iGO Refurbished is a value-leader, bringing reliable and portable oxygen therapy to a wider variety of users. Carefully inspected and refurbished to precise, like-new standards, each refurbished portable DeVilbiss oxygen concentrator carries a one-year warranty. Featuring a brand new DeVilbiss iGO Portable Oxygen System, the Active Kit is ideal for minimalists with a passion for travel. Every DeVilbiss iGO can run off of AC power, DC power (automobile battery) or by rechargeable battery. For peace of mind, the concentrator automatically switches to battery power in the event of a power interruption, meaning it's ready to go wherever the road takes you! The oxygen concentrator included in this option has a 3-year system warranty and a 1-year battery warranty. You can truly go everywhere with your iGo Portable Oxygen System and that includes destinations you need to fly to. Your iGo is perfectly sized and FAA approved for air travel so you can rest assured that your supplemental oxygen will be available during your flight. If your using iGo, as you board the plane you can continue to do so as you get ready to take off during your flight, landing and boarding. Once you’re at your seat simply retract the telescoping handle and slide your iGo under the seat in front of you. The iGo travel case features a see-through plastic window allowing you to operate all controls easily while you’re on the plane. When you arrive simply, slide your iGo unit out from under the seat in front you pull up the handle and get ready to go everywhere at your destination. In cars, buses, boats and planes the iGo Portable Oxygen System redefines true portability and convenience for oxygen delivery. The following information is designed to help you properly use and maintain the Devilbiss iGo Portable Oxygen System - 306DS. This presentation is intended to complement, not replace the instruction guide that accompanies your portable oxygen unit. Please make sure that you also read, understand, and follow the printed instructions. Your doctor has prescribed the iGo system as a means to obtain supplemental oxygen for treating certain respiratory ailments. Depending on your condition, iGo therapy may improve certain symptoms such as headaches, drowsiness, confusion, fatigue or increased irritability. The device is not intended for life support. If these symptoms persist after you begin your supplemental oxygen program, please consult your doctor. Your Devilbiss iGo personal oxygen system is an oxygen concentrator. The most reliable, convenient, and efficient source of supplemental oxygen available today. The iGo system separates oxygen from room air to provide you with a source of supplemental oxygen. While the iGo system filters oxygen, it does not affect normal oxygen levels in the room. The iGo system features continuous flow and PulseDose oxygen delivery offering increased mobility and superior comfort. PulseDose delivers oxygen in a very short puff, not continuously. The duration of each pulse of oxygen will not vary from breath to breath and is set in correlation to your prescription. As noted in your instruction guide, only standard nasal cannula can be used in a PulseDose mode. Pediatric low-flow cannula cannot be used. Any cannula can be used in the continuous flow mode. The iGo system has been designed to simplify operation from its intuitive top-mounted control panel. Simply press and hold the power button located here to turn the system on or off. 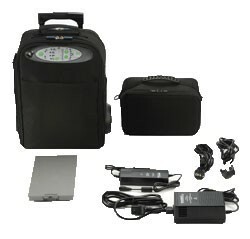 The external power light illuminates when the iGo system is connected to either AC or DC power. If there is a power failure without a charged battery installed, an audible alert will sound and the light will flash for 15 minutes. Pressing the power button stops the alert. Oxygen concentration lights let you know at a glance if your iGo system is working properly. The green light signifies normal operation and an acceptable oxygen level. The yellow light illuminates when there is a problem with your unit prompting you to refer to the troubleshooting section of your instruction manual. The red service light indicates a serious malfunction that requires you to switch to your reserved oxygen system. If the red light is on, call your Devilbiss provider immediately for instructions. Do not attempt any other maintenance. The mode select button lets you choose either PulseDose or continuous oxygen flow. The flow indicator light to the left pulses with every breath in the PulseDose mode and illuminates without interruption in the continuous flow mode. Flow rates for both PulseDose and continuous flow have been determined by your physician. These settings should not be changed without being instructed by your doctor. To the left of the control panel is the conveniently located oxygen outlet. Simply connect your oxygen tubing to the outlet and to a nasal cannula and breathe normally. Please consult your instruction guide for a list of recommended oxygen delivery accessories. Always keep your iGo system at least 5 feet from hot, sparking objects or any open source of flame. In addition, do not locate your iGo system near flammable materials or in the direct path of any heat source such as a heat register or car heater. Position your system so alerts can be heard and never use the unit in the closet or any small, enclosed space. Also make sure your iGo system is positioned at least 6 inches from walls, drapery, or any object that could prevent proper airflow. Place the unit in a well-ventilated location, free of pollutants and fumes. Be sure that the air inlet and exhaust are not blocked. Never cover your iGo system with a blanket, towel or other covering to avoid overheating. Never leave the unit running when not in use or the cannula unattended when delivering oxygen. High concentrations of oxygen can cause rapid burning. Finally, prior to operating your system, check to see that the air filter located in the handle cavity is clean. 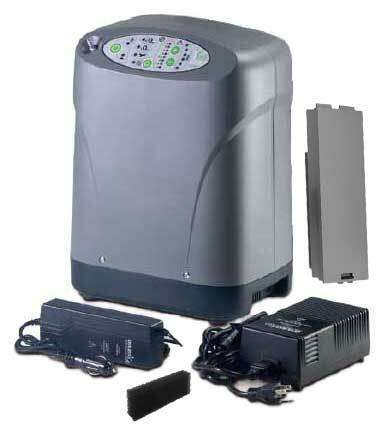 Your iGo system can be operated from three different power sources: AC power, DC power, or a rechargeable battery. The system includes a universal AC adapter and power cord that should be securely inserted in the power input on the side of the unit. Plug the other end into a grounded AC outlet. To connect the AC adapter, align the arrow on the plug locking ring with the arrow on the receptacle of the unit. Push until the locking ring twists slightly counterclockwise then snaps back into alignment with the arrow on the receptacle. To disconnect, grasp the plug, twist counterclockwise and pull. Remember never connect your iGo system to an extension cord or electrical outlet controlled by a wall switch. Your system also includes a DC adapter to operate the unit from DC accessory outlet like those found in Motor Vehicles. Make sure the fuse rating in your vehicle is 15 amps or greater. After you've started your vehicle, insert the DC adapter into the power input on the side of the iGo system. Connect the DC adapter the same way you connect to the AC adapter. Insert the other end of the DC adapter into the vehicle’s DC accessory outlet. Always remember to unplug your unit when the engine is turned off and never start your vehicle while the DC adapter is connected to avoid draining the vehicle's battery. For added convenience and security, your iGo system can be operated from a rechargeable battery. Under normal operating conditions, the battery will be continually recharged while operating the unit under AC power. Your iGo system will not recharge the battery while connected to the automobile DC adapter. This is to prevent the iGo from drawing too much power from the vehicle and possibly blowing the auto fuse. The iGo go battery will not discharge while connected to the automobile adapter. If external power is disconnected, your iGo system will automatically switch over to battery power. To install the battery, insert the battery tabs into the slots in the battery bay and push the battery until it is secure and flush with the back of the system. To remove the battery, push down on the latch. The battery will tilt so you can easily grasp it. When the battery is installed, a series of six green lights illuminate when the battery is fully charged. Lights turn off in sequence as the battery charge becomes depleted. The last remaining light will turn yellow and an audible beep will sound when the battery reaches its lowest operating level. Please consult your instruction guide for the typical operating life of a battery charge and be sure to check the battery level before you travel since the battery will discharge over time. Also, keep in mind that the new battery packaged with your iGo system is not fully charged. Connect your iGo system to AC power to completely charge the battery, which may require up to four and a half hours of uninterrupted charging. To clean and maintain your iGo portable oxygen system, turn the unit off. The air filter should be removed and cleaned weekly in a solution of warm water and dishwashing detergent. Rinse thoroughly in warm water and towel dry. The filter should be completely dry before it’s reinstalled. Cannula, tubing, and humidification accessories should be cleaned and replaced as instructed by your Devilbiss provider. Consult your instruction guide for additional information. 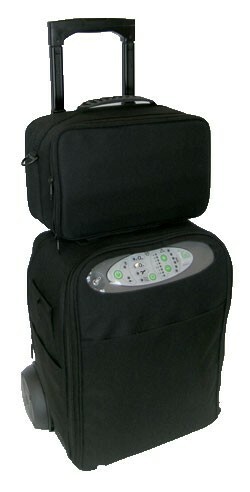 When traveling, your iGo system can only be operated in a Devilbiss approved carry case incorporating openings for the cannula, external power connections, and airflow. If you travel by plane, take your iGo system as a carry-on item. If checked as luggage, it must be packed in a protective case. Your iGo system can also be used with a lightweight cart. Please consult your instruction guide for information or contact your Devilbiss provider. If you have any questions about the operation or maintenance of your iGo system, please contact your Devilbiss provider. Many questions can be answered by consulting the troubleshooting section of your written instruction guide. We thank you for placing your trust in Devilbiss and are confident your iGo system will provide the safe and reliable supplemental oxygen you need. Too heavy for daily travel use, but durable, dependable. I've had my Devilbiss iGo for three years. I've used it on flights and on long road trips. It's my nighttime concentrator when I'm away from home. It is a work horse. 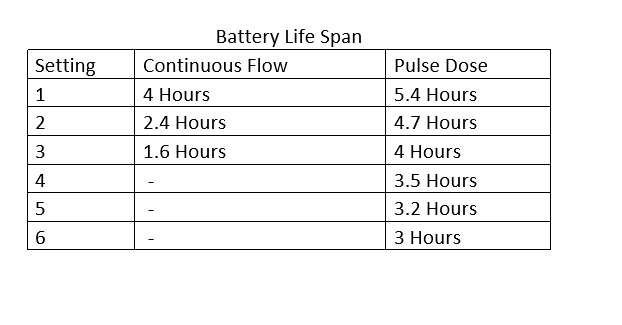 I need continuous flow for sleeping and can use pulse flow when awake and active. I like that this concentrator has those options. I use canisters of oxygen for short trips to appointments, shopping, etc. Everything worked, right out of the box. No damage. Delivered in 4 days. Very happy with the unit. Obviously, I can't speak for the longevity of the machine but, hopefully there wont be any serious problems with the concentrator in the future. Hope my choice of 5 is right I'll let you know once I start using the IGo. I need 3 lpm Continous Flow @ night because I have Sleep Apnia and use a CPAP. I can use pulse flow during the day. I just ordered the IGo to put in the trunk of my car so I am independent and don't I longer need to drag around cylinders unless I want them to walk around. Hope I made a good choice ad this stuff is not inexpensive. It's compact, easy to use, travels well on planes (when the airlines know what they're doing!!!!). It was also less expensive than similar models. Am thankful to be able to have it. I trust DeVillbiss because they've been in business since 1888. The Devillbiss iGo Portable Oxygen Concentrator has been a good product and I'm happy I found it. The Devilbiss iGo was a great purchase. 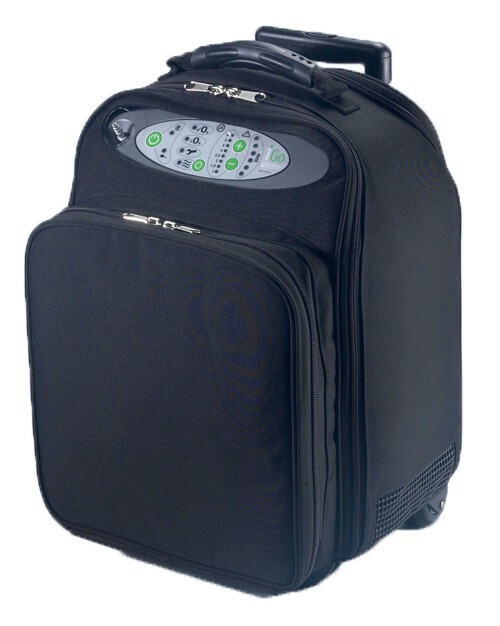 This portable oxygen concentrator looks like a travel suitcase. With the continuous flow oxygen feature, I can finally have a portable oxygen machine. I am very pleased with my purchase of your devibliss igo. Now I can travel with no hassle of bottled oxygen. The customer service was excellent and I received my purchase a week sooner than I expected. Thank you.